Our uPVC fascia boards and soffits protect your roofline and home from damp and condensation. They perform a vital function in protecting your home from Mother Nature. We only supply the highest quality roofline products, guaranteeing a beautiful, long lasting finish. Does your roofline need replacing? Are your fascias, guttering and soffits looking worse for wear? P&M Windows can replace your roofline for an affordable one-off cost. Our uPVC fascias, soffits and guttering are of the highest quality and once expertly installed, they will provide a lasting performance year after year. Our uPVC roofline replacement products come with a 10 year guarantee for your peace of mind. 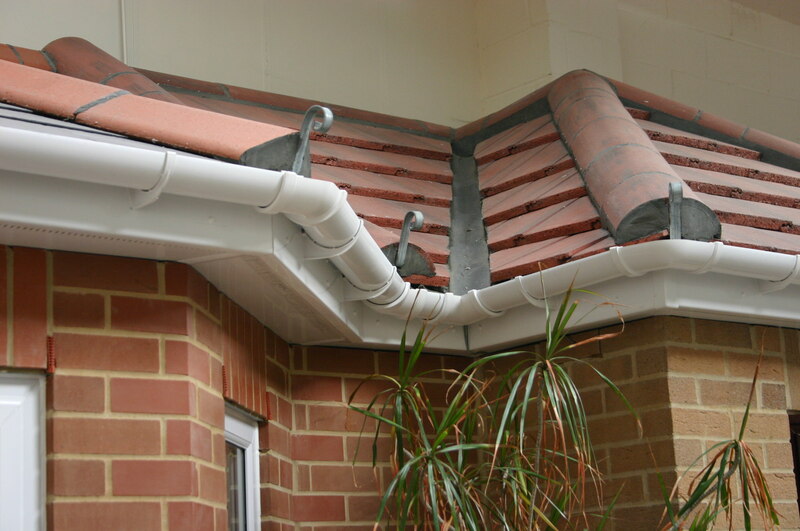 Our Fascias, soffits and guttering are guaranteed not to warp, crack or rot. uPVC is a durable and low maintenance material which is why our replacement roofline products are so cost-effective. An occasional wipe clean is all that is required. All our uPVC fascias, soffits and guttering are fully weather-proof. They will protect your roofline against the elements, ensuring your home is kept warm and dry. Anti-Infestation – Our uPVC roofline products feature a tough and impermeable outer skin which provide all year round protection from insect and bird infestation. Fire Resistant – Designed to be fire resistant (BS476: Part7: Class1), our uPVC cladding will help keep your property protected in case of a fire. Impervious to Water – Unlike timber which is a porous material, our uPVC products will never rot, discolour or require re-painting. They will remain weather-tight despite the elements. Get in touch with our friendly experts for more information and our roofline prices. P&M Windows provide a wide range of double glazing services in Luton, Dunstable, Harpenden, St Albans, Bedford, Hitchin and the surrounding areas. Contact us for market leading uPVC windows, doors and conservatories in Bedfordshire. Making a payment to P&M Windows could not be easier. Use our WorldPay form below or get in touch with us for alternative methods.